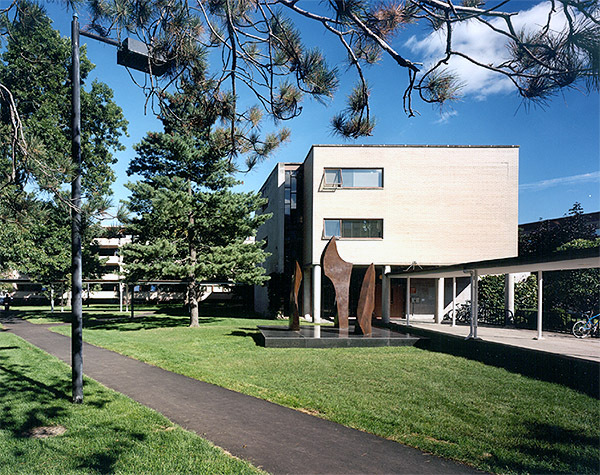 Originally designed by Walter Gropius in 1947, Blackstone Block Architects was retained by Harvard Law School to renovate Story, Shaw, Ames, Dane, and Holmes Residence Halls. The renovations included exterior access improvements, accessible dorm rooms, redesign of all bathrooms, as well as plumbing, mechanical, and electrical system upgrades. Lead by BSBA, the project team was respectful to the original design of Walter Gropius.